Our hair is one of our favorite forms of self-expression. Whether we’re growing it long, buzzing it off or accessorizing it with clips and headbands, we’re telling a story, and a big part of that story is confidence. That’s why we’re so intent on keeping split ends, frizz and flyaways as far away as possible. But the more we waste our time with plastic combs and overly rough brushes, the more issues we’re creating! Make Every Day a Good Hair Day With This Powerful Blow-Dryer, Now on Sale! 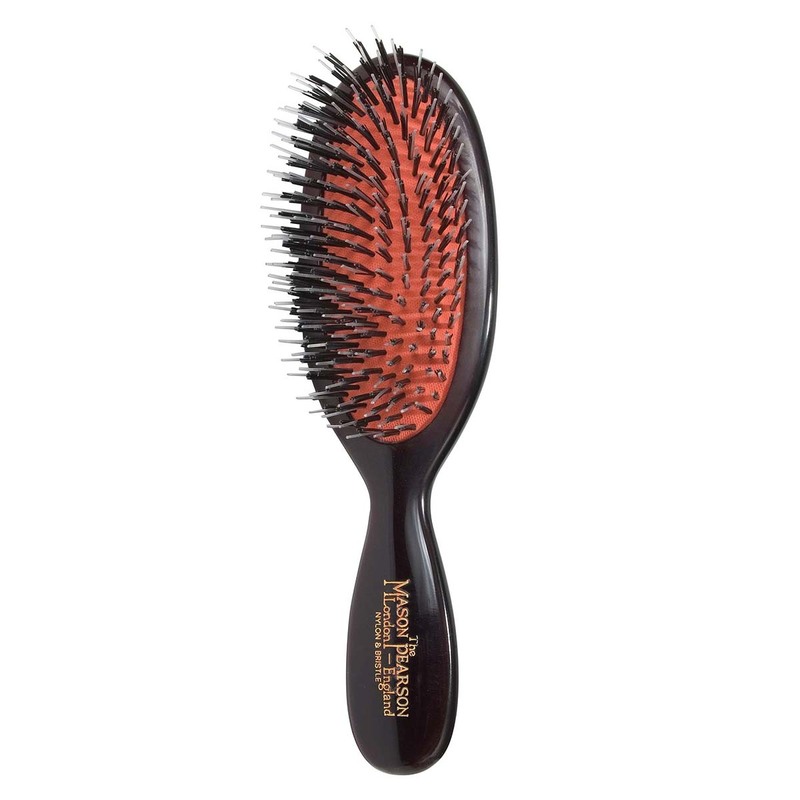 The Mason Pearson Popular Mixture Hair Brush is the key to long, healthy, glistening hair. Developed over 100 years ago, this celeb-favorite, handmade brush has proven its worth over the last century. Even supermodel Ashley Graham’s hairstylist, Justine Marjan, uses it on her clients’ hair to transform stubborn strands into luscious locks! See it: Get the Mason Pearson Popular Mixture Hair Brush for $205 at Dermstore! Also available at Amazon and Nordstrom! Marjan told Refinery29 just how she likes to use this Mason Pearson brush to tie long, coarse hair into a perfect ponytail. She explained that she “always creates ponytails in sections so that the hair is easier to control.” Once it’s sectioned, she sprays the roots with a strong-hold hairspray and then brushes hair out with this brush while it’s still wet! The bristles on this brush are a combination of nylon tufts and premium-grade boar bristles. Specifically developed to detangle long and coarse hair, these bristles work with the pneumatic cushion, which contours to our scalp as we brush. This may result in a properly exfoliated, massaged, non-irritated scalp, which is key to healthy hair! This brush claims to separate and smooth out individual strands of hair, minimizing breakage and the formation of split ends. Other brushes make these issues even worse, but this brush may leave us with extremely soft and manageable hair, majorly cutting our styling time down. One of the most important qualities of this hair brush is that it’s made to strengthen hair by transferring our natural oils from our scalp down to the ends, protecting the strands from root to tip! We think everyone has the basic idea of how to use this beloved hair brush, but it’s always more motivating to have a set of instructions. So, before shampooing and just before bed, brush 10 to 15 strokes in each direction! Done! 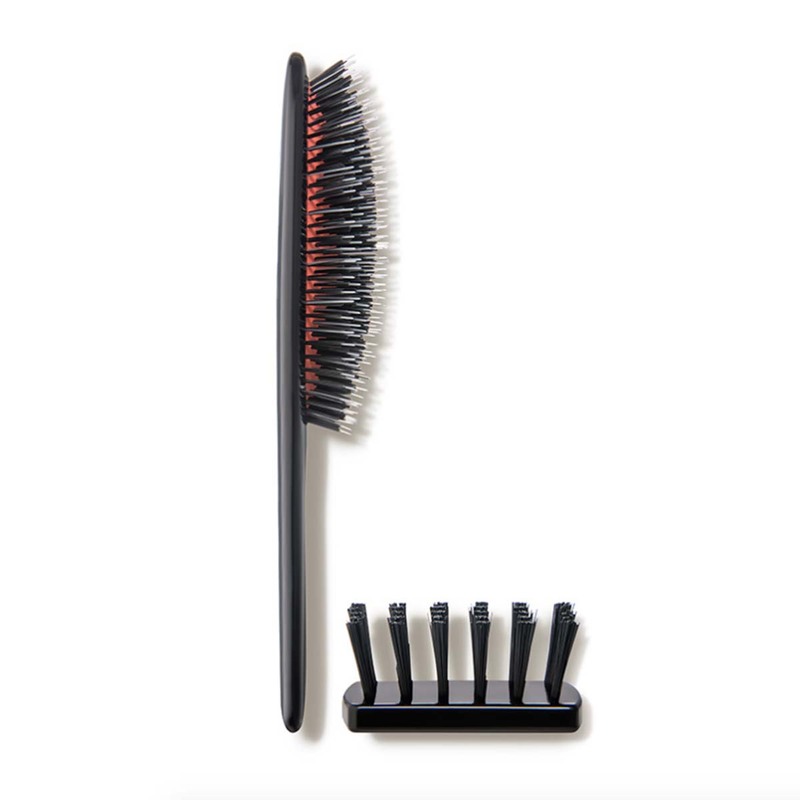 A mini nylon cleaning brush is included with our purchase, so make sure to clean out the bristles every so often! Dermstore is including the Eminence Organic Skin Care Bamboo Firming Fluid (a $58 value) at no cost with any purchase of $175 or more, so don’t wait! This extra offer is only while supplies last, and with both our hair and skin on point, we’ll feel like we can take over the world. Now, please excuse Us, as we need to start sectioning off our hair so we can prepare for the most epic ponytail of all time! Looking for something else? Check out more from Mason Pearson here and other styling tools available at Dermstore here!